Malnutrition can happen to anyone, but older adults are particularly at risk. Because malnutrition has been associated with diminished cognitive capacity and declining functional ability, it’s important to identify malnutrition in older people as early as possible. There are many screening tools that health care professionals can use to assess malnutrition risk. One such tool that has been validated for identifying malnutrition in older adults is the Mini Nutritional Assessment (MNA). 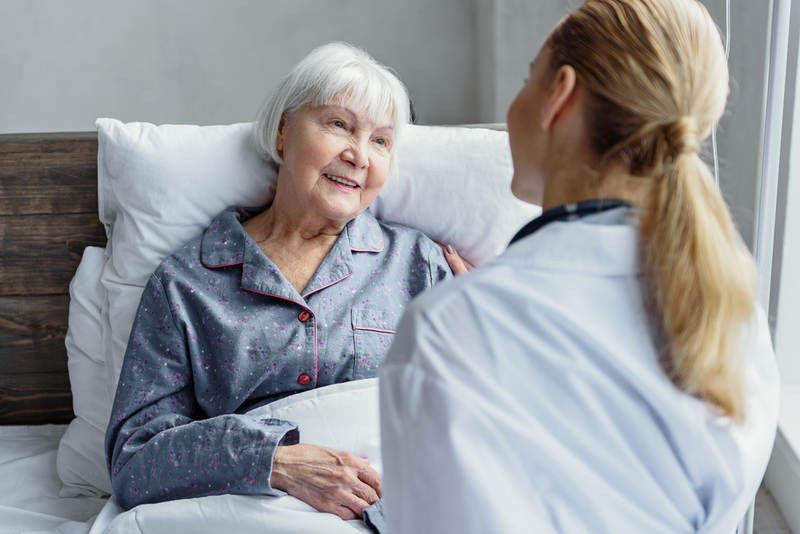 This article explains the components of the MNA and how you can use it to identify malnutrition or risk of malnutrition in older adults. What Is the Mini Nutritional Assessment? The MNA is a screening and assessment tool validated for use in older adults age 65 and above who are malnourished or at risk of malnutrition (1). It’s able to classify older people as well nourished, at risk of malnutrition or malnourished. The MNA was developed in 1989 by two researchers, and was initially validated in a group of more than 150 healthy, frail and acutely ill older adults in France between 1990 and 1991 (2). Since that time, the MNA has been the most widely used tool for nutritional screening and assessment in older people (3, 4, 5). Originally consisting of 18 self-reported questions, the current MNA now consists of six questions that takes less than five minutes to complete. The questions includes criteria specific to aging such as functionality, depression and dementia. If so, “is this because of lack of appetite, chewing or swallowing difficulties? Review their medical records, use professional judgement or ask nursing staff or caregiver to provide information about the severity of the person’s neuropsychological problems. If BMI is not available, replace question F1 with F2. After you have filled in the appropriate numbers, total them for the final screening score. Depending on the MNA screening score, there are recommended interventions. The recommendations are different depending on whether there is weight loss. The MNA is a validated screening tool for identifying malnutrition and malnutrition risk in older adults age 65 years and older. The tool consists of six questions related to food intake, weight loss, mobility, acute event or illness as well as neuropsychological problems. Based on the screening score, there are recommendations for interventions to help treat or prevent malnutrition.